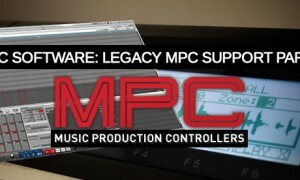 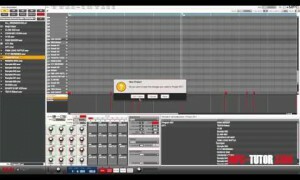 The MPC Renaissance is the flagship controller for the next generation MPC – the MPC Software. 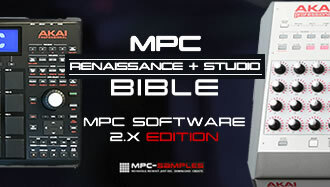 As well as the free MPC Renaissance and MPC Studio tutorials on this page, I’ve also written two entire books dedicated to MPC Studio & MPC Renaissance Tutorials; ‘The MPC Renaissance & MPC Studio Bible‘ (for MPC Software 2.x) and ‘MPC Renaissance & MPC Studio: Sampling Laid Bare‘ (for MPC Software 1.9) with hundreds of pages of hands-on tutorials covering everything you need to know about making beats on the MPC Renaissance & MPC Studio. 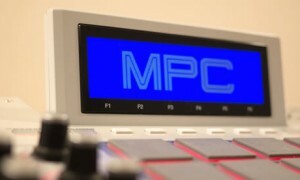 The first true in-depth MPC Renaissance Review – discover how your old MPC beats and projects will load in the new MPC Renaissance and MPC Software OS 1.0.